Tractor Trailer & Commercial Driver Jobs San Antonio | Platinum Drivers Inc. 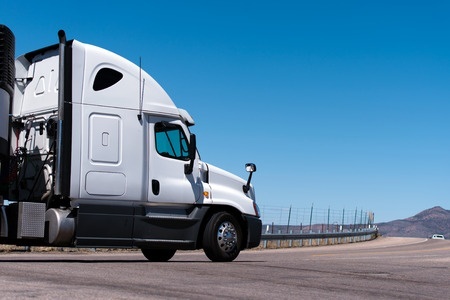 Platinum Drivers presents an open market of commercial driving positions for a wide range of qualified drivers, making it easier for companies to find the candidates that they need and connect drivers with the opportunities they are looking for. Platinum Drivers works with commercial truck drivers of all skill levels with a range of licenses and endorsements, including class A drivers, class B drivers, line haulers, OTR truckers and P&D and yard drivers. Texas companies that are shipping consumer merchandise, fuel, chemicals, food and many other products are actively looking for experienced, qualified drivers in San Antonio right now to fill positions immediately. Platinum Drivers takes the searching and guesswork out of finding jobs and removes the advertising, reviewing and interviewing for clients. Platinum Drivers serves as an intermediary between drivers and clients, helping connect the perfect candidates to open positions quickly. Platinum Drivers forges long-term relationships with both businesses and drivers, helping drivers build their careers and helping companies move their items quickly and safely. Platinum Drivers offers a range of CDL jobs for commercial truck drivers who are ready and willing to work. Local and long-haul CDL jobs throughout Texas are available now and you can find the positions you want with the equipment you are familiar with and staying within a distance that works with your schedule and home life needs. With hundreds of regional truck driving jobs available, each driver can find flatbed jobs, dry van jobs, delivery driver jobs and more that suit their needs. Platinum Drivers works exclusively with commercial drivers, so candidates don’t waste time reviewing positions that don’t work with your qualifications and interests. Drivers can select the jobs they want and qualify for, and companies can select the best drivers from Platinum Drivers’ vetted and verified driver pool. Platinum Drivers makes all of this easier by assisting at every step, allowing clients to hire drivers that they need faster, and connecting companies with qualified and experienced applicants for the job. Platinum Drivers also assists drivers by showing jobs that apply to their skills and endorsements and providing a long list of opportunities in the San Antonio area. For companies looking to transport materials and make deliveries, the driver is an integral part of the chain. Experienced and knowledgeable drivers help to make sure that the materials arrive on time and in their original condition. Depending on the items that you are transporting and the equipment needed to transport, certain license endorsements may be required. Platinum Drivers organizes and reviews all licenses and driver certifications for you, and provides a selection of applicants that meet your company‘s needs. For heavy class A trucks towing more than 10,000 pounds, Platinum Drivers finds drivers with a Class A license who are experienced with the needs and regulations of heavy equipment. This not only saves you time when searching for drivers but helps to ensure that your materials arrive on time, thanks to a driver that is familiar with heavy equipment protocol. Class B licenses are used for slightly smaller vehicles and weights and are more often used for regional or local deliveries or transportation. Other endorsements may be required for drivers of vehicles transporting hazardous or flammable materials, as certain safety procedures and protocols must be followed to keep these materials safe. Tanker trucks also require additional endorsements, and some states require additional licenses for hauling double or triple haul trailers. Platinum Drivers keeps records of endorsements and licenses for all of their drivers, conducting due diligence for you. As part of Platinum Drivers’ commitment to both clients and drivers, all records are organized and accessible to businesses, while keeping all personal information secure for all drivers. Platinum Drivers is committed to serving companies and drivers, providing an easy and accessible platform for finding commercial driving jobs and filling openings. Some companies require extra help during busy seasons, such as holidays, while others expand quickly and need new drivers to help fulfill their increased demand. It can be difficult to estimate shipping distances and jobs over long periods, and Platinum Drivers helps to fill the in labor shortage when estimates fall short. Companies can add drivers to their fleet when needed through temporary jobs in the shipping and delivery industry. This also benefits drivers by giving them access to the jobs that are best for them that are available in their area. With access to an extensive list of jobs that are available immediately, drivers can take advantage of more work opportunities and continue to build up their career. Learn more about Platinum Drivers’ staffing services for truck drivers and trucking businesses. Companies can fill positions that they need without a long wait or review time and find the perfect candidates with the correct licenses and endorsements. If you are a commercial driver seeking CDL jobs in your area, fill out an online application to find companies that are looking for candidates like you right now. Contact Platinum Drivers now for more information on filling your position or finding your next job today.